I am converting an almost 100 year old typewriter into a printer that will print your tweets to it on paper while you can watch it on a webcam. It has been a good week for the typewriter to printer conversion project. 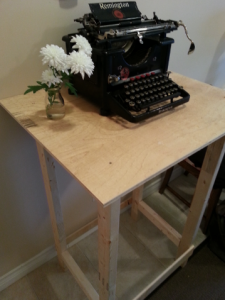 Andrew helped me put together a table I designed for the typewriter. Basically I just went to Home Depot and bought 3 pieces of lumber ($15) and figured out how to cut them to get what I need out of them. Turned out pretty stable. 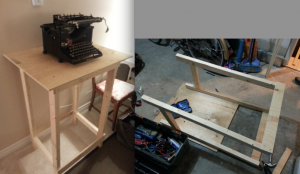 Maybe I should build more of them anyway, quite good size for a standing-work desk and dead cheap. SolenoidsI bought turned out to have enough power to pull the key down enough to strike. This showed though, that they will all need to be individually adjustable, since each key has a little different resistance. Jane helped me figuring out how the online representation should be. We will open a site called something similar to “le petite print shop” and give the typewriter its own “business” where you can get your tweets printed. check the shift registers (74HC595), in a daisy chain for 32 different outputs. I found a source for them at Creatron here in Toronto because of Jon who is working on a very cool flipper project. Finish soldering the control boards (2 boards with each 16 transistors and 2 shift registers to control 32 “actions” all together. After above two steps are done, the electronics soldering part should be done, just a few pins from an arduino will go into the shift registers and control all keys. Not sure yet if also the cartridge return and new line motors will / can go through that or if they will be connected directly to the arduino. However – should not be an issue. Laser cut 3 pieces that will let me move the solenoids up and down and fix them in position with a screw. Will do this at site3 here in Toronto, a really cool spot to build hardware. 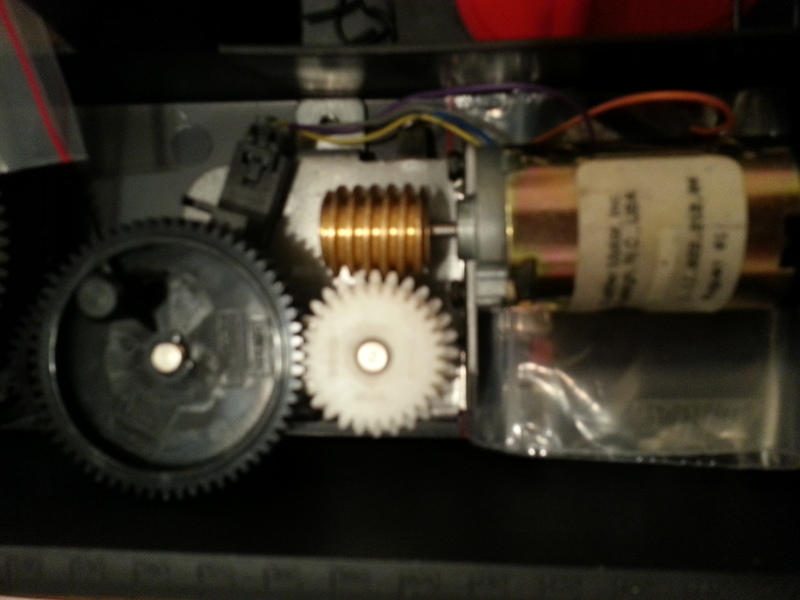 Find new motor for cartridge return, maybe same one as new line anyway? Make sure it is easy to move and setup (just one cable to plug in and WIFI setup on arduino / also setting twitter hashtag or account on the web server to line up tweets) so we can actually take it somewhere to show people during events or at places. 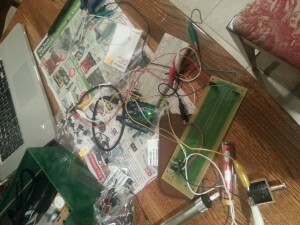 Parts so far came from Active Surplus Toronto, Creatron Toronto, Home Depot and Electronic Goldmine. Thanks for helping out Jane, Andrew and Manuel. Feedback / Ideas – let me know! 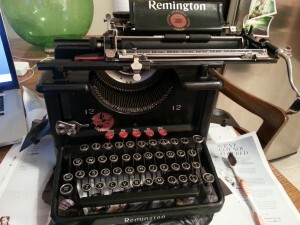 So I had to learn that the 30 solenoids I got, wont have enough power at the low leverage point I wanted to connect them to the typewriter. Making me wonder to either get stronger ones with same pull-in (7mm would do) or get ones that can pull in 3 cm, will have to investigate what is around and affordable. Finding use for the 30 cheap solenoids I already got should not be to difficult, thinking about a little music making installation. Ideas for other uses are welcome! The ones in the picture are not the ones I have. While in Vienna, I had a chance to talk with Manuel Laber from Laber’s LAB about my project. Great guy, always inspiring to speak with btw. He had some improvements for me. 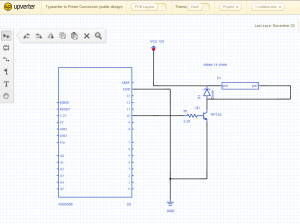 Instead of a stepping motor, I will just use the ‘Buehler DC Motor with Gear Train and Optical Detector’ I already got and instead of multiplexing I will use a shift register. Looking for electronic parts in Toronto, I came across A1 and Active Surplus Electronics, both kind of conveniently located, A1 being close to my girlfriends parents house and Active Surplus being right here on Queen Street West (Thanks Andrew). The solenoid issue can be solved by money, of course there is powerful solenoids with enough pull to do the trick, but I need 30 of them, so I am still brainstorming how to get this working. 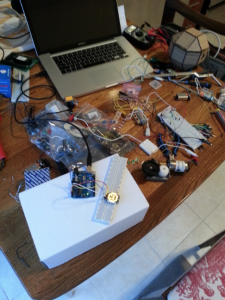 No matter what I will come up with, I will still use the electronics layout / collaboration cloud tool provided by Toronto based Startup Upverter – already re-learned a lot about electronic engineering because of their tool. Ideas to help me out? Please let me know! New Line: stepping motor, gear and belt to be able to sit on the cartridge that slides left and right. key hammers get stuck: not enough power in the spring that was used to pull them back, can be easily achieved through extra weight on the hook of the spring.